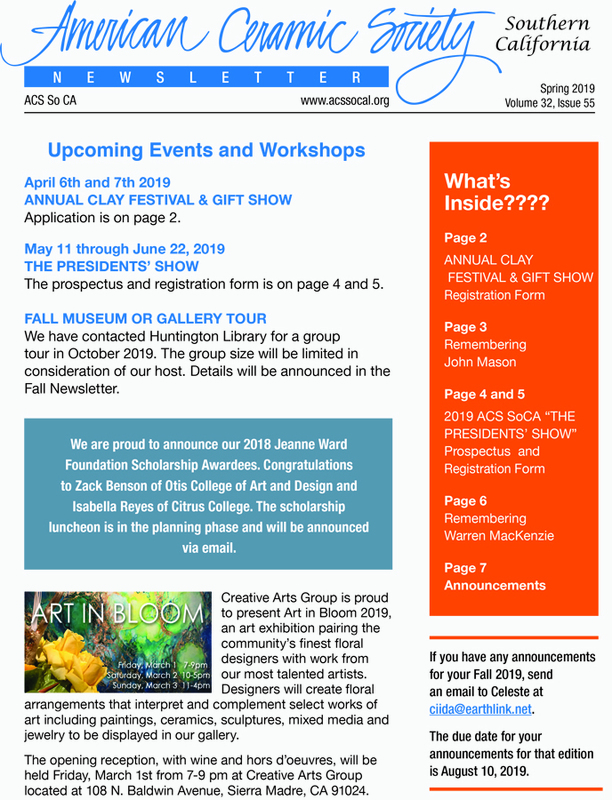 The ACS-SoCal newsletter is published 6 months out of the year and is one of the many benefits our members enjoy. HOW DO I PLACE ADVERTISING? Email your copy ready advertisement to Lyn Adelstein at la@ladelstein.com or Celeste Iida at ciida@earthlink.net. Advertising can include an image to fit within the sizes below and have at least 300 dots per inch (dpi). For a single ad, a bill will be sent by email after the publication date. If you are interested in purchasing our advertising bundle, the rates are outlined below. Supporting members will be automatically given a 10% discount on advertising bundles of 3 or 6 ads. Bills for bundles will be sent via email after publication date of the final month of your ad run.